Everything You Need to Make Shaved Ice at Home! 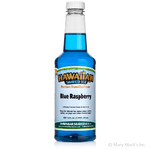 If you�re looking for a beautiful blue, deliciously sweet shaved ice and snow cone syrup, look no further. 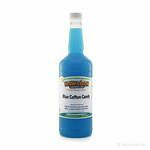 This pint of Blue Cotton Candy syrup is exactly what you need. 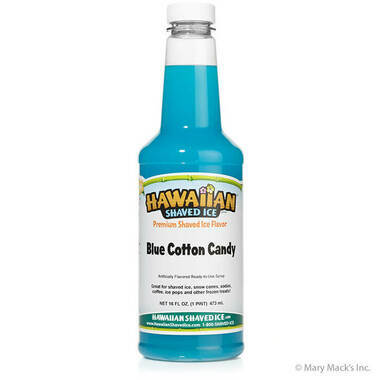 The flavor is just like the bag of blue cotton candy that you get at a carnival, festival, or special event and it would be the perfect flavor for a boys baby shower. Of course, the kiddies love having a bright blue colored tongue after digging into a yummy blue cotton candy snow cone. And, adults love the flavor that makes them feel like a kid again! Order a pint of Blue Cotton Candy Shaved Ice and Snow Cone syrup today. 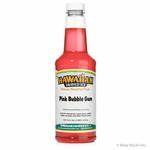 If you really love it (which we know you will) and want more, order a quart or a gallon, and don�t forget to check out our pink cotton candy flavor too! Join our SURF CLUB to receive exclusive deals! This machine is the best thing that we have ever bought. 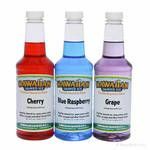 Ease of ordering, choices, flavors, shipping.....everything is perfect! Now we can enjoy a little bit of Hawaii every day, not just on vacation. I highly recommend this seller. I look forward to buying from them again in the near future! © - All rights reserved. Hawaiian Shaved Ice is a division of Mary Mack's, Inc. All brand names are protected trademarks of their registered owners and no claim is made otherwise.